Well, we have made it to Week #3 and things have been super hectic at our house…. 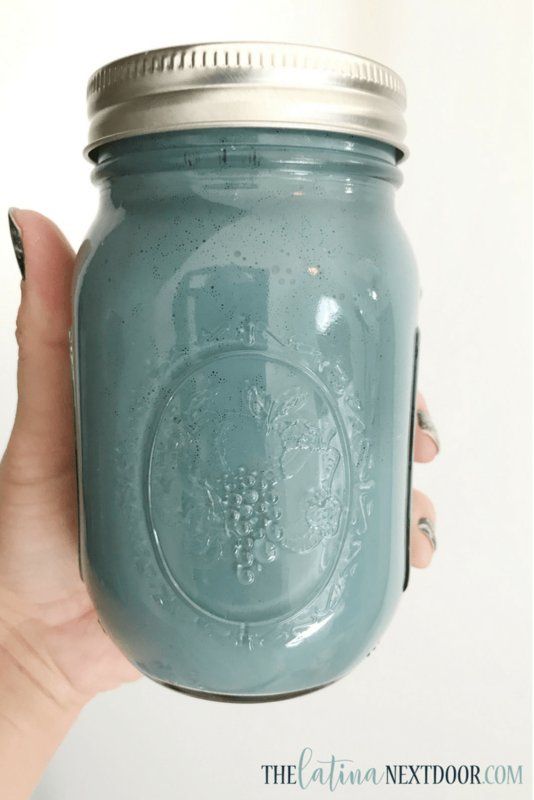 it all started with sick kiddos… yep! We are still battling to get back to 100% and tomorrow schools have been closed due to inclement weather. I do have a little of good news and more bad news…. I purged and it feels so good! You can also check out the video recap of Week 2 & 3 along with a shopping haul for supplies below! You don’t realize how much junk you have until you go through it. I had so many things I hadn’t used in years! Yogurt containers for a long forgotten project. Yarn ( I don’t even crochet or knit!). And some plain ole trash! Out they went to either to a donation box or the trash. I am super happy about this. I do know there are a couple of other boxes down in the basement to go through, but honestly, I won’t get to those anytime soon so the boxes in the main level will have to do. Plus, really, there are only 2. I can handle those once my room is complete. Other great news is that I finally got my paint order in! Check out this lovely shade of blue. I am using this milk paint to change the look of these bookcases that will go in the craft room for storage. Bad news is I have never worked with true milk paint before and I have hit some snags. But I will work through it and update these babies like I had hoped. It’s definitely a learning process so I will take it as that. However, everything keeps to be dragging so I have gotten a little frustrated these past couple of days. But on a better note, I think I have finally found my decor style! 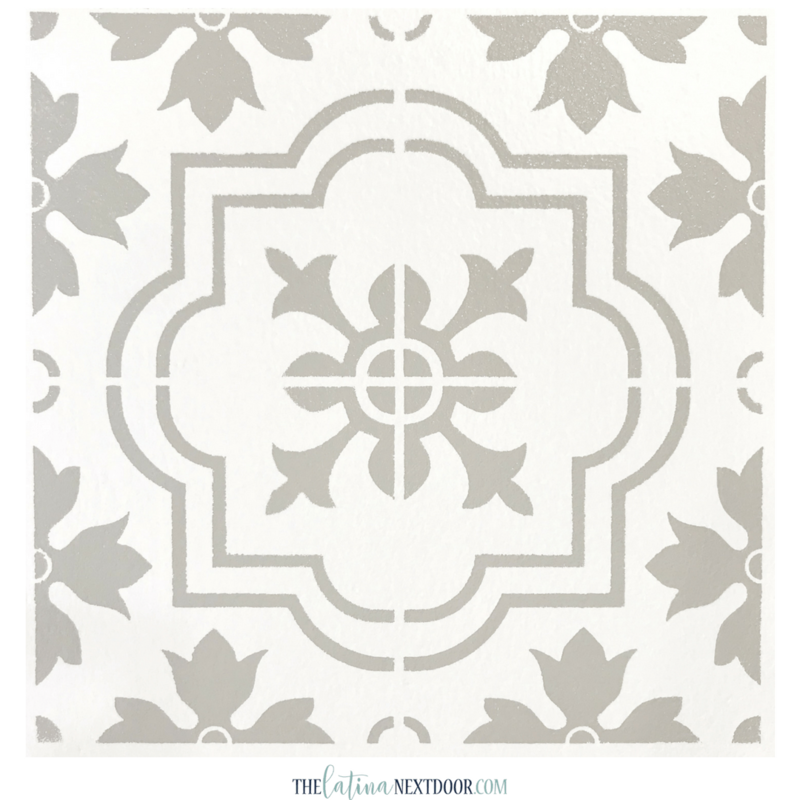 I love the farmhouse style that Fixer Upper has brought to us, but I also love coastal decor with a touch of sophistication kinda like the Hamptons… so I’m naming my style Hamptons Farmhouse… not sure if that’s a thing, but I’m keeping it. LOL! Let’s just hope I can actually get what’s in my head to translate into my work. No pressure, right? I hope to share their transformation next week so stay tuned! I am determined to get them done. And finally, you remember the white walls I shared in last week’s post? 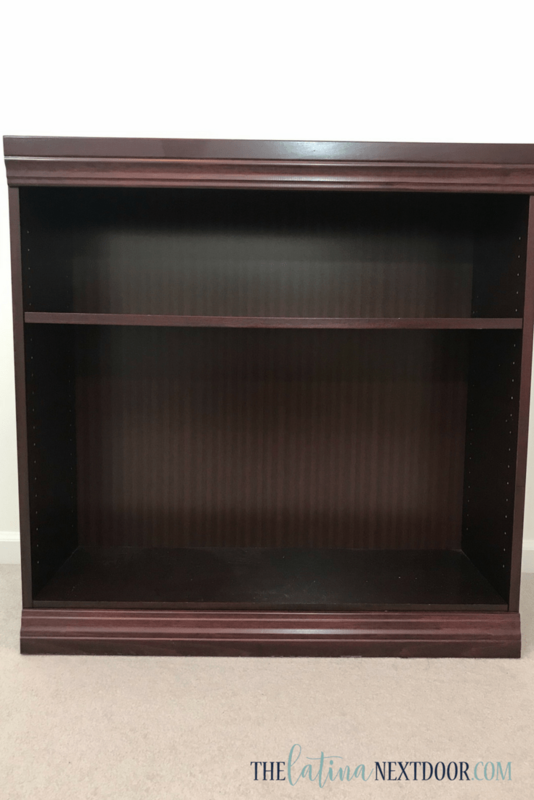 Throwing away more items I don’t need. Start grouping things to make them easier for storing. I would love to hear what your thoughts are so far! 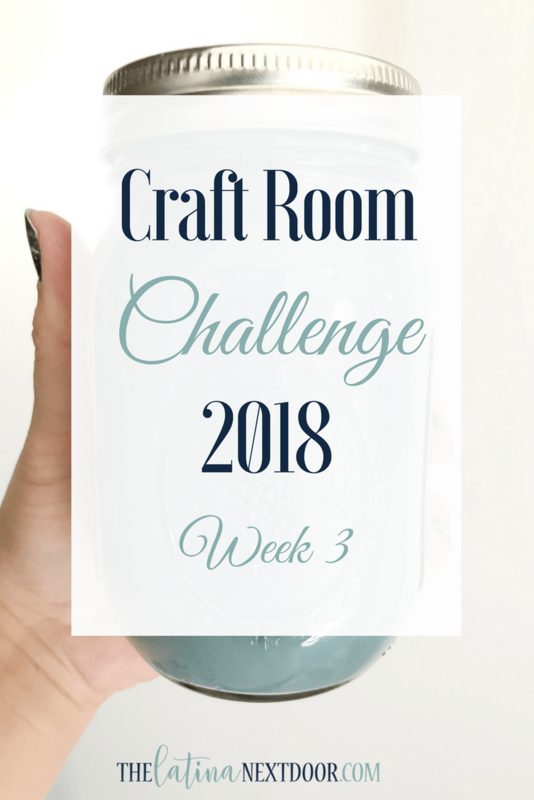 Welcome to the 2018 Craft Room Challenge! From January 3rd through January 31st, 14 crafty bloggers will be sorting, organizing, cleaning, and decorating their craft spaces. Each of us has a very different craft space to tackle, so chances are you will find one similar to yours. We’d love for you to join in on the fun challenge and clean right alongside us. Follow along and join in on social media by using #craftroomchallenge and #confessyourmess. You can also find us and the challenge via our social media accounts you’ll see listed on each of our sites. We’ll also have 15-minute mini daily challenges for you in case you have limited time to dedicate to the challenge. 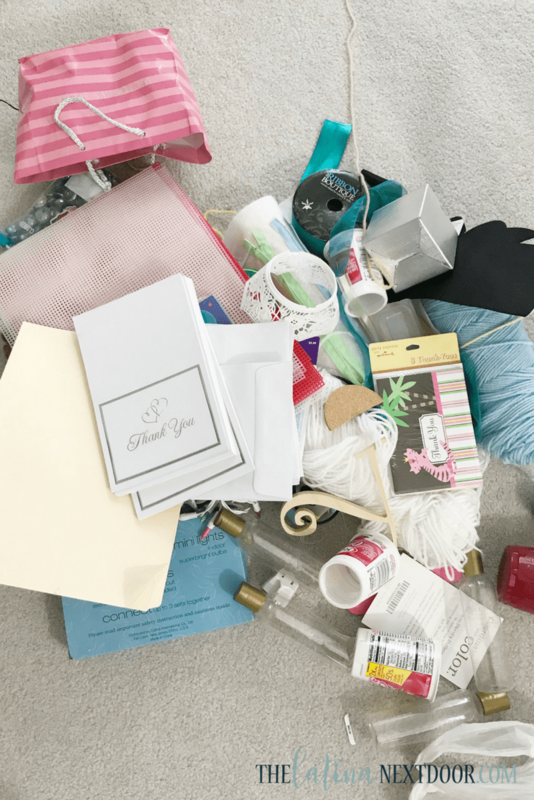 We hope you share your messy spaces and progress with us so we don’t feel alone this month! I like where you’re headed with your style concept. I love the farmhouse style too, but I’ve realized that I’m a tropical/beachy style. Can’t wait to see the reveal this week.